When you read a novel, do you ever wonder how the author came up with the names of various characters? I'll confess that for my earlier books I chose names at random, sometimes even making use of the names of friends and acquaintances. But the further I went with writing, the more attention I paid to name choices. I'm re-reading a book by the late Donald Westlake, one of the most talented writers of the past fifty years, and he chose a name for one of the characters that's absolutely driving me nuts! The man is a gang boss/farmer named Agricola. When I looked at it, I thought, "Agri-COLA. Interesting." But about thirty pages in, we're told the pronunciation is "a-GRICK-oh-la." From that point on, I fought with myself over how to pronounce the name--the way I'd imagined or the way Westlake showed. I'll let you guess what I ended up doing. How about you? Does the name of a character matter? Do they conjure up images? What's your take on character names? The vernal equinox officially occurred around noon local time on Thursday, March 20. On that day, the daylight and nighttime hours are equal and spring officially arrives. Here in North Texas, we're highly unlikely to see another freeze, although cold weather seems to be coming back again and again like a persistent skin rash. Nevertheless, it's nominally spring, things are going to get better, and I'm glad. 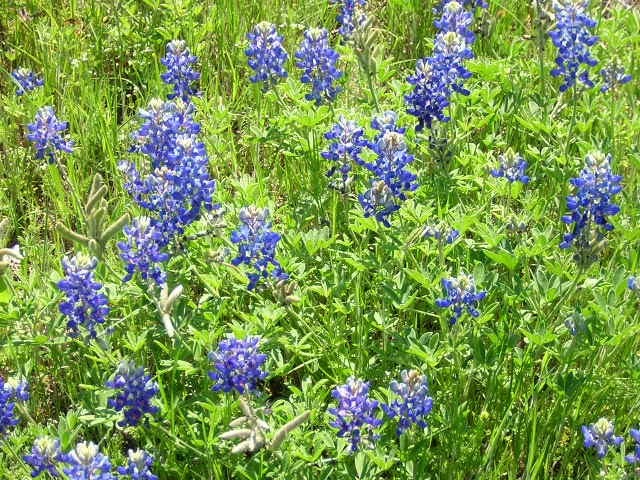 Bluebonnets are already appearing in some areas. Are wild flowers in bloom in your areas? If so, what are your favorites? And if not, when do you expect them? Writing: What Do We Call Ourselves? If you're a fan of baseball, undoubtedly you've heard certain players described as "journeymen." Mike Morgan, whose picture appears to the left, was traded six times and played for twelve teams, has been described as perhaps a prototypical journeyman baseball player. 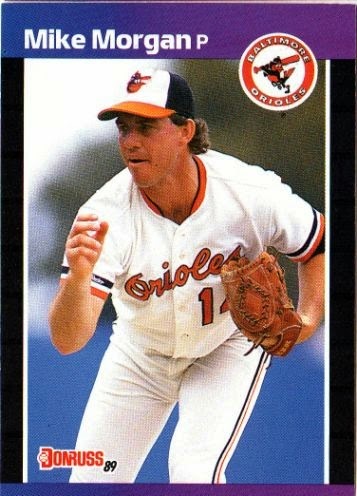 But despite this tag, Mike Morgan had a twenty-five year career in the sport, and played in the major leagues in parts of four different decades. Not bad for a journeyman. There's been some discussion lately over whether a writer must have work published before they can call themselves an author. Although under that classification I could qualify for either designation, I honestly think it's better to divide those of us who write into journeymen and stars. Before you dismiss the idea, think about it. There are relatively few stars in the publishing world, just as there are relatively few true stars in baseball at any time. Many of us, whether we like to admit it or not, are journeymen. We may not command big bucks for our work, we may not even be with the same publisher for our entire writing career, but we'd like to keep writing (just as Morgan and other journeyman baseball players wanted to keep playing)--sometimes for the money, sometimes for the thrill of doing what we do--even though stardom might elude us. So I'm proud to style myself as a journeyman author. Writers, what about you? And readers, have you noticed this division among writers...and does it matter to you? Feel free to chime in. It's been a rough winter all over the US. Here in North Texas we've had a couple of storms that left the streets icy and resulted in the closing of businesses and schools. Then, when it seemed that nice weather had returned, thunderstorms and the threat of hail and high winds came along. We may think we have it bad, but lots of our fellow Americans have it worse. To those of you still suffering through difficult condition, you have my sympathy. To those now enjoying better weather, I hope you'll rejoice. As Riley said, it's just as cheap and easy to do that. How's the weather affected you this winter? Let us know. 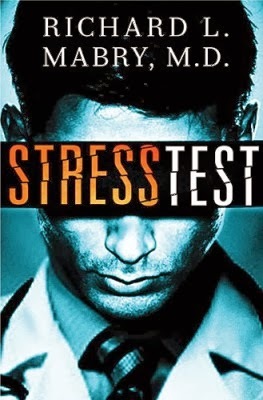 Important announcements: Julie Smith is the winner of an audio recording of my novel, Stress Test. Thanks to everyone who entered. Keep coming back for more chances to win neat stuff. And if you haven't signed up for my newsletter, please use the tab in the right column of this blog to do so. Sometimes those subscribers have opportunities just for them, and I wouldn't be surprised if one of those isn't coming up soon. 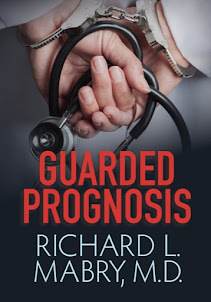 I'm departing from my usual Tuesday-Friday schedule to let you all know that you can sample my forthcoming novel, Critical Condition, which is currently available for pre-order. 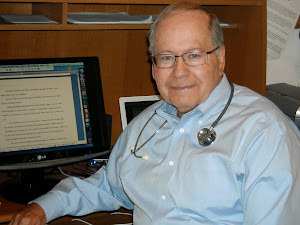 I've recorded a portion of the book for the Southern Writers website feature, Take Five. You can read the first two chapters (actually, the prologue and chapter 1) on my web page. 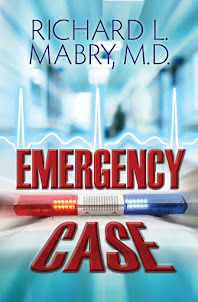 You will be able to read a short prequel, Shannon Frasier's First Day In Med School, if you participate in the Christian Fiction Scavenger Hunt that begins April 4 here. (My contribution is among those of about 30 Christian fiction authors). And, finally, participants in that Scavenger Hunt can enter a giveaway on my site for a signed copy of Critical Condition. Remember, that one runs from April 4 through April 6. Good luck all. We now return you (and me) to the normal schedule. My friend Hugh King, now deceased, used to tell me how he and his wife liked to listen to audio books on their trips. Personally, I haven't gotten into that, although sometimes Kay and I will listen to CD's when we drive long distances. As for audio books, I've been more concerned with the print versions and more recently e-books. All that changed, though, when I recently received several audio copies of my novel, Stress Test. I've just gone over the royalty statements from my publisher and note that the audio versions of this book (they have not yet chosen to do others) accounted for a small but significant part of its sales. And this leads me to ask these questions: Do you listen to audio versions of books? If so, how do you do it? CD's? Download to an iPod or smart phone? Does it detract from your experience to hear narration by a single voice? Do you think the choice of narrator makes a difference? I'm offering a chance to win an audio version of Stress Test. 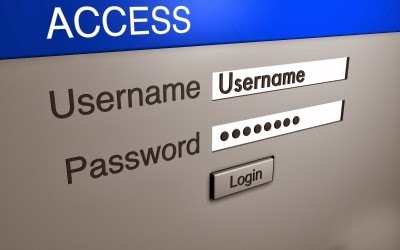 You'll start by clicking the link below (not by leaving a comment). Rafflecopter will guide you through the steps. You get one entry if you comment. If you're a subscriber to my newsletter or take this opportunity to use the tab in the right margin to subscribe, you get another entry. Finally, if you tweet about it you'll get another entry. It's all on the honors system, but be fair. Contest ends on March 18. To enter, click this link. (I appreciate your comments, but you can only enter via Rafflecopter, so click the link). And thanks. 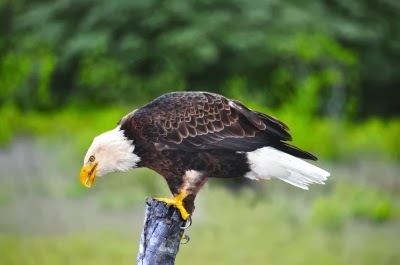 I recently heard a routine by comedian Mike Williams, in which he talked about seeing a bald eagle. He was thrilled at the sight of this magnificent bird, but as he went to get his camera a storm came up, with strong winds he was afraid would chase the bird away. Instead, the bird flew into the headwinds and let them lift him up. His first thought was, "That'll preach." (For those like me, raised in the evangelical church, that should sound familiar). His take-away message was this: When something goes against you, when an event or person threatens you, find a way to use that to lift you up. Life isn't going to be easy for those of us who unashamedly follow Christ. 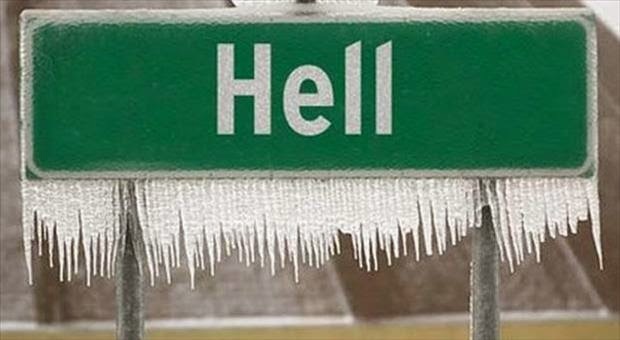 As my friend, Dr. Steve Farrar reminds me, "There is a place called Heaven...and this ain't it." So when trials come, I'm going to look for a way to make them lift me up and make me stronger. To see and hear Williams' whole routine, click here. How about you? Had something bad happen to you that you were able to turn into a positive? I have. I'd love to hear your experiences. The obsessive-compulsive TV detective, Adrian Monk, put it quite well: “I don’t mind change. I just don’t like to be around when it happens.” As I get older, I find myself identifying more and more with that point of view. Of course, over the last half-century there have been a number of changes that were good: Betamax tapes have given way to DVDs, stick shifts on cars have been replaced by automatic transmissions, prepackaged dinners (some not even requiring refrigeration) have made life easier for busy cooks. 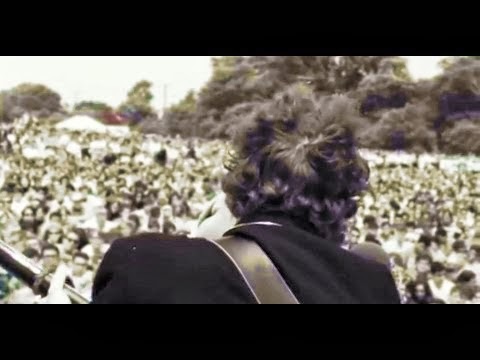 But change, to me, was epitomized by the appearance of Bob Dylan in an auto commercial during the Super Bowl. Dylan’s anti-establishment signature refrain was, “The times, they are a-changin’,” and this commercial epitomized that change. Now most manuscripts are submitted electronically to a publisher through an agent, and the SASE is a thing of the past, but in many other respects the publishing process has changed very little. Editors and publication boards still choose only a small minority of submitted manuscripts. Up to a year may elapse between acceptance of a book and its appearance in print. The drastic difference in the process is that self-publication has become a legitimate option for some writers. (This has been covered in several posts, both here and elsewhere, and I won’t delve into that subject again). Because of this change, there are more books from which to choose, and the reading public must be more discerning than ever. One knowledgeable individual, Seth Godin, estimates that over fifteen million books were published last year in the US. Given that number, how does a reader choose? According to my own survey, readers are primarily influenced by their prior experience with the author and the recommendations of family, friends, and bookstore employees—in other words, word of mouth advertising. So, what do you think? Has the explosion of new books made it harder for you to find one you like? Do you find yourself purchasing books that you stop reading part-way through? Is some sort of gateway for self-published work an answer? I'd like to hear. Winner of Candace Calvert's new book, Life Support, is Kelly. She's been notified by email. Thanks to everyone who left a comment. 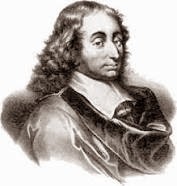 One of my favorite quotations has been attributed to a number of people including Mark Twain, but likely originated with the French mathematician Blaise Pascal, who concluded a written communication with a friend like this: “I have made this letter longer than usual, only because I did not have time to make it shorter.” Pascal recognized both the importance and the difficulty of what authors and editors now call “writing tight.” In other words, organize your thoughts, present them without extraneous words, and move on. That takes time and effort, but although long letters and unhurried conversations are nice, when the person on the other end is pressed for time, such effort is appreciated. In both business and social situations, brevity is a valued commodity. Twitter limits “tweets” to 140 characters—not words, but characters. Facebook gives a bit more leeway, allowing up to 420 characters before the message spills over requiring clicking “more.” Unfortunately, there’s no limit on the amount of material that can be included in an email or a blog post—sometimes I wish there were. The point, of course, is that most of us are running as fast as we can just to keep up. If I send you a long, involved, rambling email, it may well end up being ignored or deleted unread. On the other hand, if I take a moment to organize my thoughts and send a short email or text message, that one’s more likely to get your attention. And if you know I’m considerate of your time, you will probably read the next communication I send, as well. The same can be said, of course, of blog posts. In case anyone’s counting, this one is just shy of 300 words. What do you think? Is brevity in communication overrated...or underutilized? NOTE TO COMMENTERS ON CANDACE CALVERT'S GUEST POST: Contest closes at noon Central time today. I'll post the name of the winner here on Friday.